Back in November, a few months before production got under way on MGM and GK Films' Tomb Raider reboot, producer Graham King revealed in an interview that the movie will center on a young Lara Croft who goes out searching for her long-lost father. Today we finally have word on who will play the father, with Dominic West signing on to take this important role of Lord Richard Croft. Lara's father is quite important in the mythology of the video game series, and it's clear he'll have quite the substantial role in this film. The Hollywood Reporter also reveals that the story centers on Lara Croft (Alicia Vikander) embarking on her first ever adventure to "finish her father's research and uncover ancient secrets in order to clear his disgraced name." In the video game series, Lord Richard Croft is both an aristocrat and an archaeologist. In the 2001 video game adaptation starring Angelina Jolie, Lord Richard Croft was played by the actress' real-life father, Jon Voight. Oddly enough, this isn't the first time Dominic West has portrayed Alicia Vikander's father on film, playing the father to her Vera Brittain character in 2015's Testament of Youth. The cast also includes Walton Goggins as the primary villain and recent addition Daniel Wu (Into the Badlands), who came aboard earlier this month to play Lu Ren, a ship captain who helps Lara Croft throughout her journey to find her father. It remains to be seen what other main roles will be announced in the days and weeks ahead, as principal photography continues. MGM has set a March 16, 2018 release date for Tomb Raider, which is the only movie set for release on that date, as of now. It also lands between Disney's Wreck-It Ralph 2 on March 9 and 20th Century Fox's Anubis, Sony's Peter Rabbit, Lionsgate's Robin Hood and an untitled animated project from DreamWorks Animation and Blue Sky. Last March, director Roar Uthaug confirmed that the movie is based on the current video game series, which was rebooted by Crystal Dynamics in 2013. The Norwegian filmmaker praised the video game company for crafting a more realistic version of Lara Croft, which the movie adaptation plans to adhere to. He added that this new game series makes Lara Croft "feel like a real human being," and that he hopes to bring some of his "Norwegian sensibilities" to the project as well. The filmmaker is working from a script by the in-demand writer Geneva Robertson-Dworet, who is also writing Sherlock Holmes 3, Gotham City Sirens and a Dungeons and Dragons reboot. Production started in South Africa just a few days ago on Tomb Raider, although it's unclear how long filming is slated to last for. 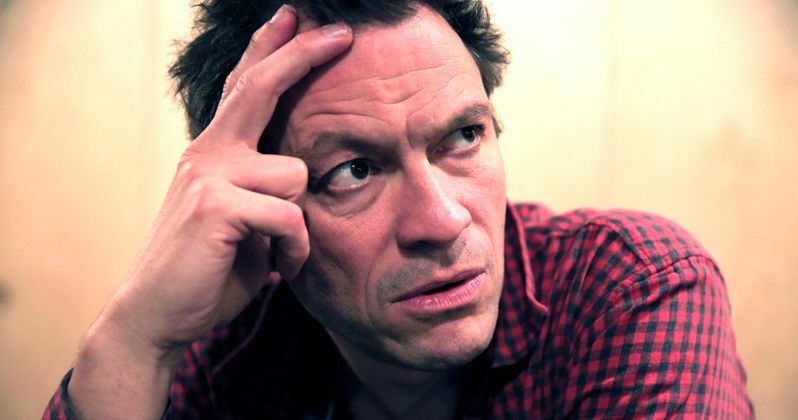 Dominic West is coming off a big year in 2016, where he starred in Genius, Money Monster, Finding Dory and returned as Noah Solloway on Showtime's hit drama series The Affair. He is currently filming The Square alongside Elisabeth Moss and he is also attached to star in I Feel Fine alongside Billy Boyd.